The ferry rolled into Aomori city in the early hours of a bright and beautiful August morning. As I made my way to the bus terminal, I couldn’t help but notice the unusually busy streets. The posters at the bus stop confirmed my suspicions, as the Nebuta festival was entering its final day. My mission, however, was to leave the throngs of spectators and head to the peaks south of the city for the first leg of my Tohoku Hyakumeizan Tour. The bus ride was pleasant enough, but the wonderful weather brought out the impatience in me. “Hurry up,” I murmured, as the bus stopped for a bathroom break a mere 10km from Sukayu hot spring. 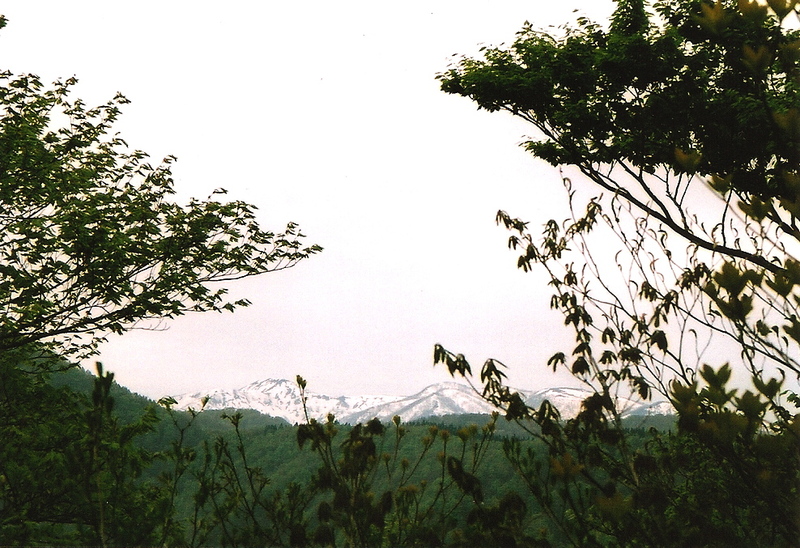 The peaks of Hakkoda rose majestically to my left and I seriously thought about abandoning the bus in favor of hitching. Those last 10km seemed to take an eternity, as I was convinced the summer fog would foil my plans for a summit view. Immediately after pulling into the terminus, I went to work, stashing my huge pack behind the public toilets. Food, water, camera. Check. An extra shirt just in case. The trail was well-maintained and I soon set a rather brisk pace, traversing through a volcanic gully before arriving at the Sennin-tai emergency hut junction. Round volcanic cones in the richest hues of green rose up from the marshlands in all directions, as the last hints of winter gathered in the form of rabbit-shaped snowfields. 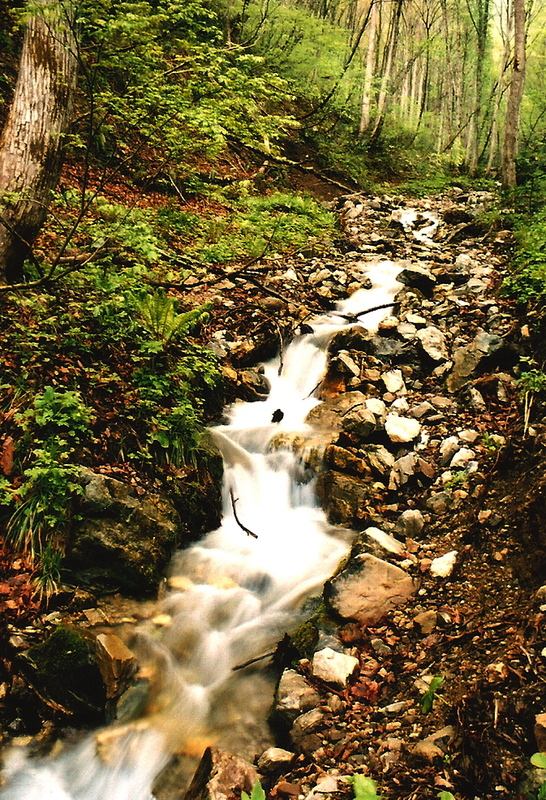 The water source here rose up from deep within the earth, forming a small, crystal clear pond of refreshing liquid. 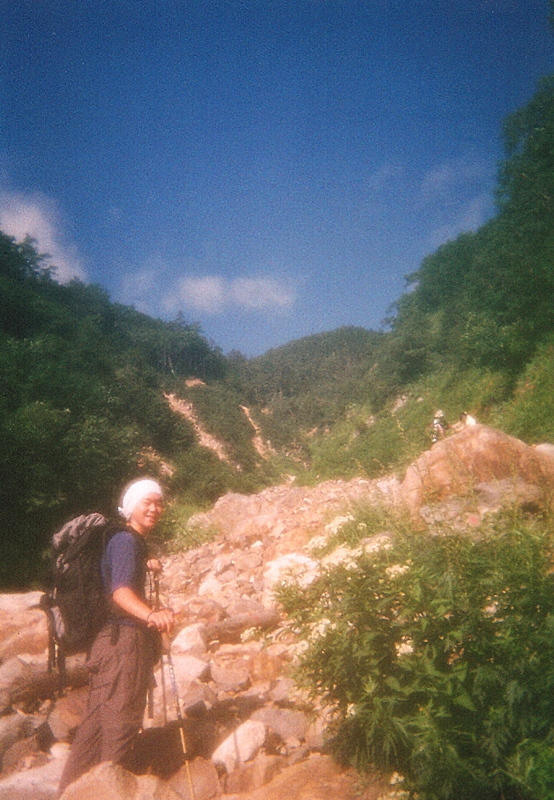 I had my fill before setting off for the final slog to the high point of Odake. 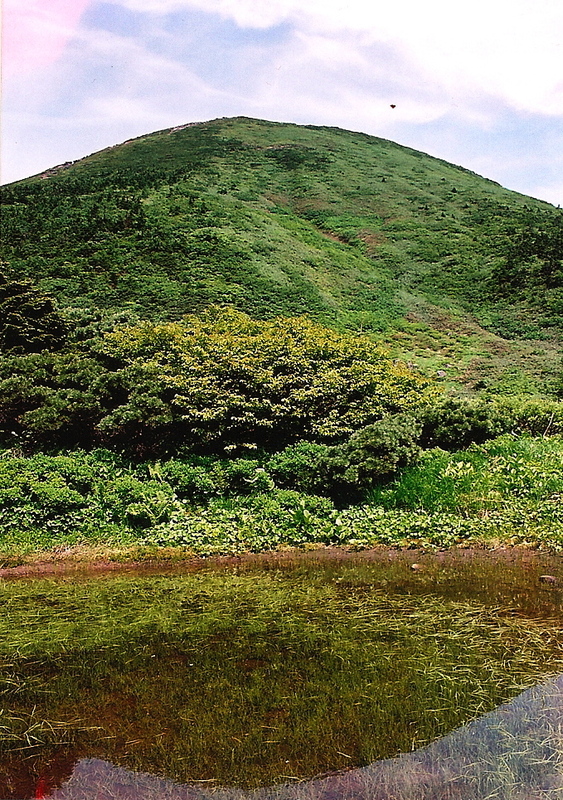 After passing a picturesque pond and weaving back and forth between the red pines and Maries’ firs, I reached the high point of Hakkoda, only to be met by crowds of hikers who’d come up from the more popular northern approach. 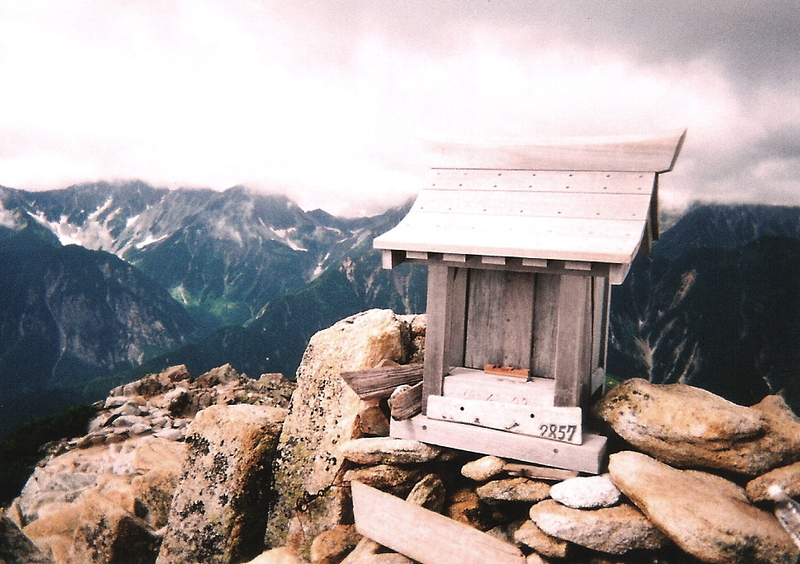 Most hikers avoid the most scenic sections of the peak by opting for the luxury of the gondola, which whisks visitors to within 200 vertical meters of the summit. I was in no mood for dealing with crowds, so instead of exploring the neighboring peak of Akakura, I made a beeline back to Sukayu hot spring, indulging in the gigantic mixed bath that is rumored to hold up to 1000 people. Fortunately, there was hardly a soul in sight when I entered the refreshing waters. A quick glance at the clock knocked me back to reality, as it realized it was high noon and most of the tourists were probably in the neighboring restaurants. Noon? Why on earth didn’t I spend more time exploring the peaks? I retreated next door for a bowl of noodles and was fortunate enough to sit next to a talkative pair of men who offered me a ride to Hirosaki station. Perhaps I’d even be able to knock off Mt. Iwaki before sunset, whose towering edifice dominates the skyline for miles around. One day into my quest and I was already well ahead of schedule. 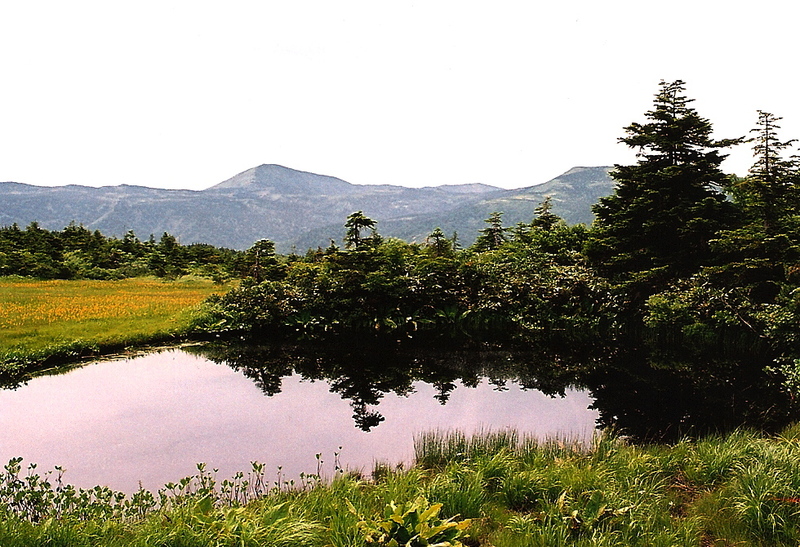 I vowed to come back to Hakkoda in the winter for some backcountry powder and juhyo (‘ice monster’) viewing. Day 1 – Ferry to Aomori, bus to Sukayu hot spring. Climbed Mt. Hakkoda and soaked in the baths. Hitched over to Mt. 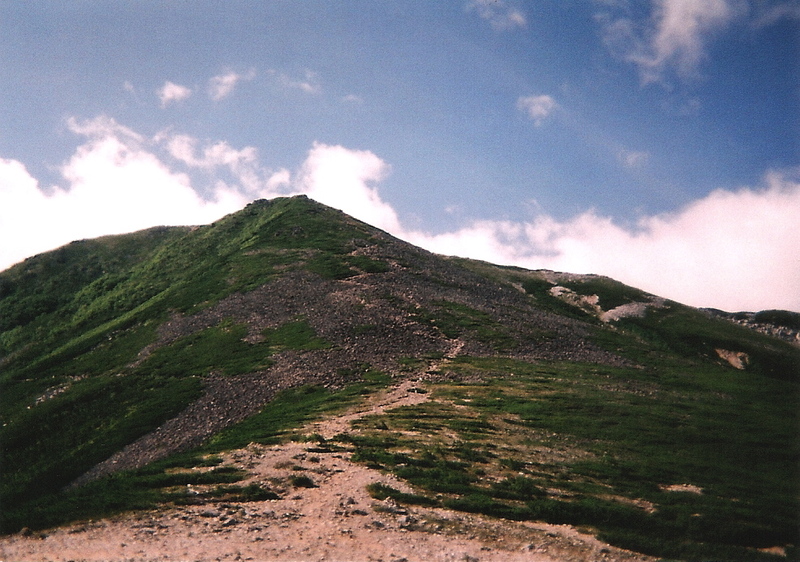 Iwaki and stayed on the summit. Day 2 – bus to Hirosaki, train to Rikuchusato, hitched to Hachimantai, strolled through the marshlands, hitched to Hachimantai hot spring and camped. 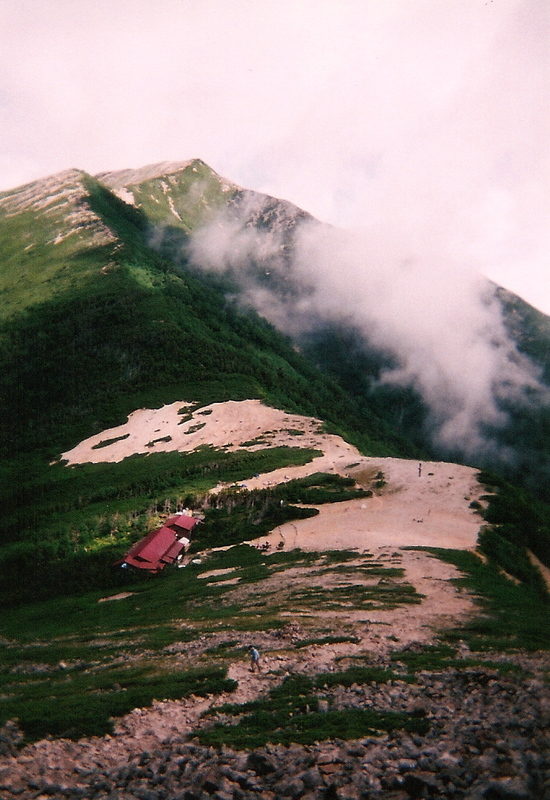 Day 3 – Climbed Mt. Iwate via the Nanatsu-taki trail, bus to Morioka and stayed in a cheap minshuku. 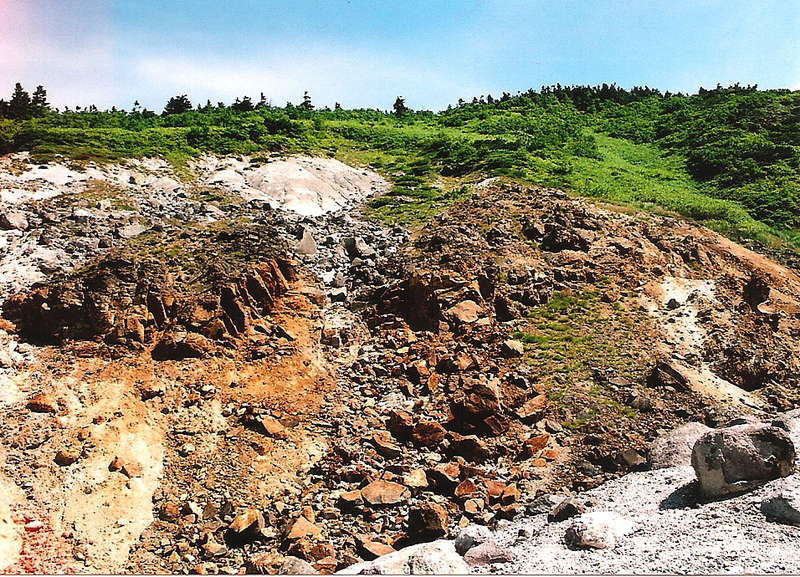 Day 4 – bus to Hiratsuto, climbed Mt. Hayachine via a long, seldom used route on the northern face, bus back to Morioka, shinkansen to Akita, local train to Kisakata, camped on the beach. Day 5 – Bus to Hokodate, climbed Mt. Chokai, stayed at Hokodate hut. Day 7 – bus to Gassan 8-chome (via Mt. Haguro), climbed Mt. 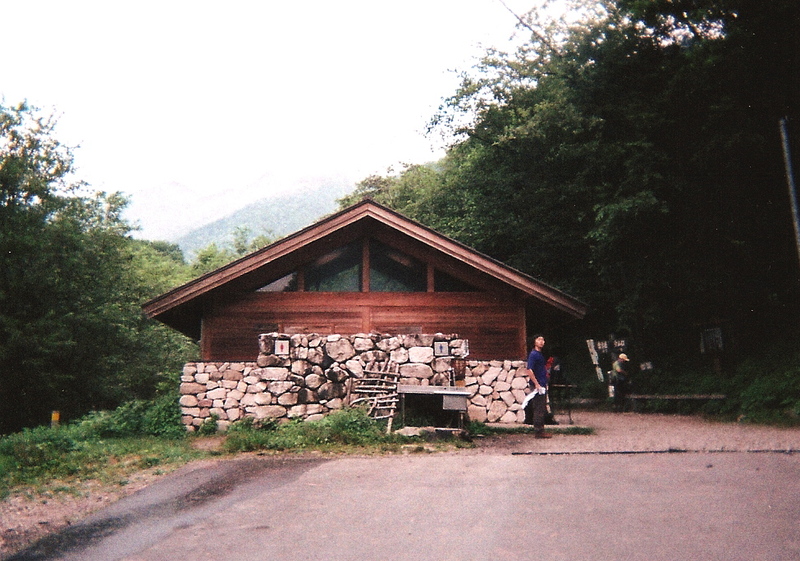 Gassan, descended to Yudono shrine, climbed back up to the ridge and down to Gassan ski resort and camped there. Day 8 – hitched from Gassan to Kotera-kosen, climbed Mt. 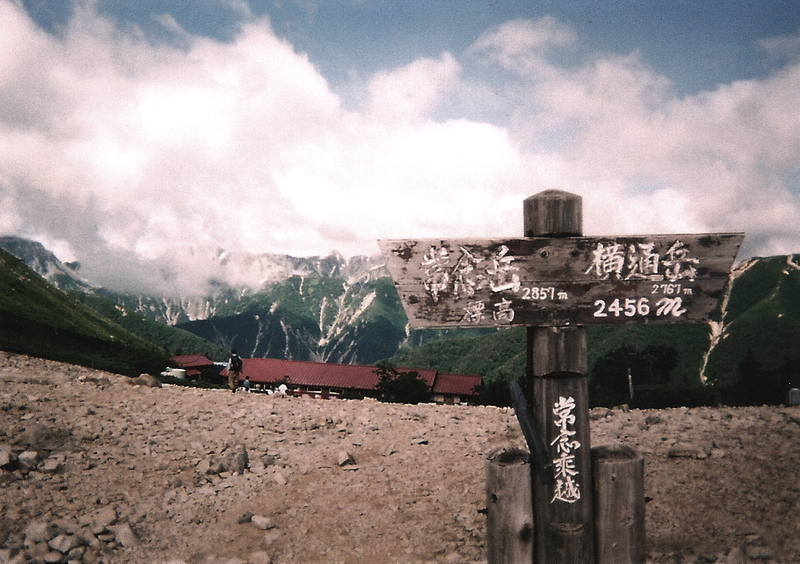 Asahi and stayed at emergency hut below the summit. Day 9 – climbed Mt. Asahi, watched the sunrise, descended to Asahi-kosen, ate the most delicious bowl of soba in my life, took a well-needed bath, shared a taxi to Aterazawa, train to Yamagata, bus to Zao Onsen, hitched to Katta-toge, stayed in the emergency hut. Day 10 – climbed Mt. Kumano, descended to Zao hot spring, soaked in the “dai-rotenburo”, bus to Yamagata, stayed in a cheap minshuku and collapsed from exhaustion. Day 11 – bus to Niigata, ferry to Sado Island, enjoyed the Earth Celebration before heading back to Osaka. “May I see your passport?”, inquired the stern police officer outside of Yatsuo station. “Why?”, I instantaneously retorted, resulting in a rather lengthy and embarrassing interrogation that I’ve grown uncomfortably accustomed to. I’d expect this in Osaka, but not in the middle of Toyama Prefecture! Cops with ego trips don’t sit well with me, but luckily I kept my cool long enough to avoid detainment. Thus begins the second stage in a Golden week that had quickly become tarnished. dwelling. Coughing and squirming most of the night were my punishments for the first of many ill-fated decisions that would come back to haunt me. Early the next morning, I awoke to the sounds of dripping water. Upon opening the door to the hut, I found myself staring out into a foggy, wet abyss: hardly ideal hiking conditions for this dreary morning. I left all of the nonessentials in the hut and started up the steep path. I caught my stride within the first km or so and was making good time until WHAM – a sudden feeling of lightheadedness. I dropped to my knees and tried to balance myself. I pulled out my water bottle along with some snack food. 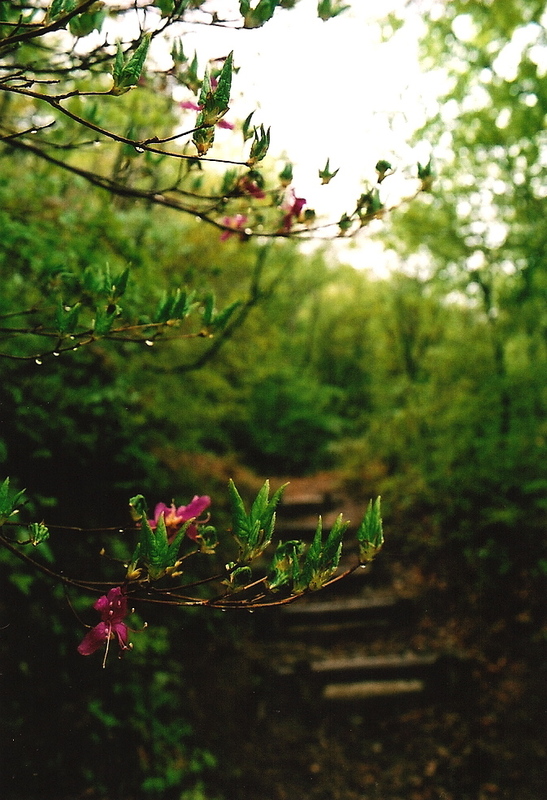 “Perhaps I’m just a bit deydrated”, I thought, working my way extremely slowly up the terraced trail. My chest felt a little tight as breathing started to become a bit difficult. Foolishly, I pushed on, trying to convince myself that everything would be ok. 50 painstaking meters later, I sat on a pile of melting snow, completely defeated. Zapped of energy and completely exhausted, I make a decision that would ultimately save my life: turning around. As I sat on the snow, a figure appeared on the trail below me. I explained my predicament and the kind gentleman offered to give me a ride back to civilization after his ascent of the peak. I could now descend with the comfort of knowing that someone would be calling the search party if I failed to return to base camp. Slowly, I crawl back down the mountain, having knocked off over 500 vertical meters before my attack. I somehow miraculously retrace my steps to the trailhead, where a deserted picnic bench and bowl of hot noodles awaited. My breathing had returned to normal but my energy was entirely depleted. Diagnosis? 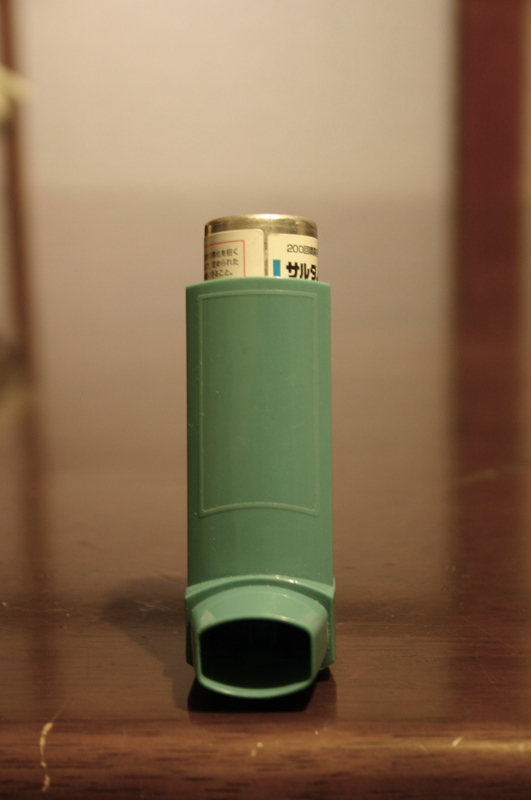 Asthma! The first time in my entire life I’ve been afflicted with this potentially lethal condition. Medication for prevention and an inhaler for the attacks, I face a new hurdle and the possibility of never being able to get into the alpine again.